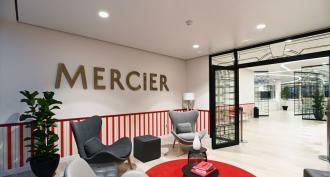 Barrisol® had the oportunity to install there its 12th revolution: Barrisol Clim® with 1 000sqm of Blanc douceur membrane (ref. : 01060). 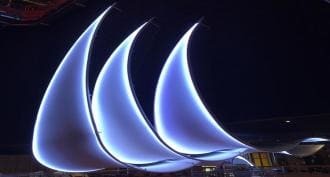 These are three monumental light fixtures, of 12m96, 11m56 and 7m85, in the shape of sails that have been installed inside the Italian cruise ship, Costa Fortuna.